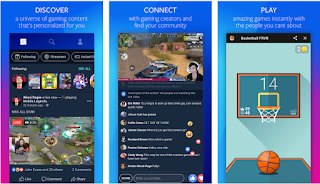 This summer, Facebook launched Fb.gg, its online gaming hub and Twitch competitor, designed to attract game streamers and their fans to watch videos on Facebook instead of on rival sites. The destination shows videos based on which games and streaming celebrities users follow, plus Liked Pages and Groups, and other featured suggestions of what to watch. Now, Fb.gg is expanding to mobile with its launch on Android. Facebook has been trying to woo the gaming community for some time, to better compete against Amazon’s Twitch and Google’s YouTube. There’s a large and growing market for game streaming and viewing, with young viewers tuning in an average of 3+ hours a week to watch, as Owojela’s Blog previously noted.